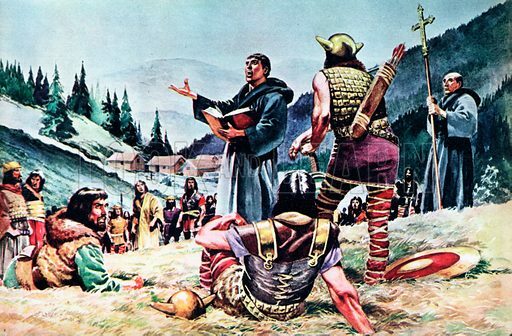 Ulfilas preaching to the Goths. Ulfilas, who lived during the fourth century, preached the gospel to the Goths. He translated the Bible into their language, but because the Goths were so fond of war, he left out descriptions of many of the battle scenes. Available worldwide for immediate download up to 4,937 x 3,241 pixels.